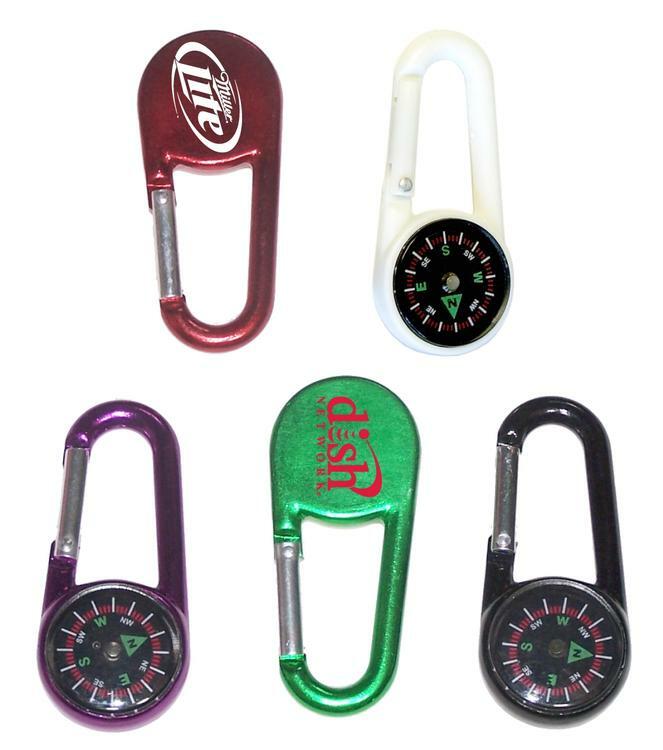 Large size 7cm carabiner with compass. Solid plastic construction with metallic color finish. Ideal for key holder, key tag, key chain, key ring, travel, emergency and self promos.